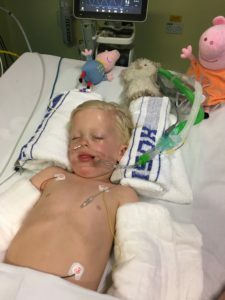 The 1st of June started like many others for the Joyner family, little did they realise their 3 year old son would be left fighting for his life and in need of critical care from the Great Western Air Ambulance Charity. 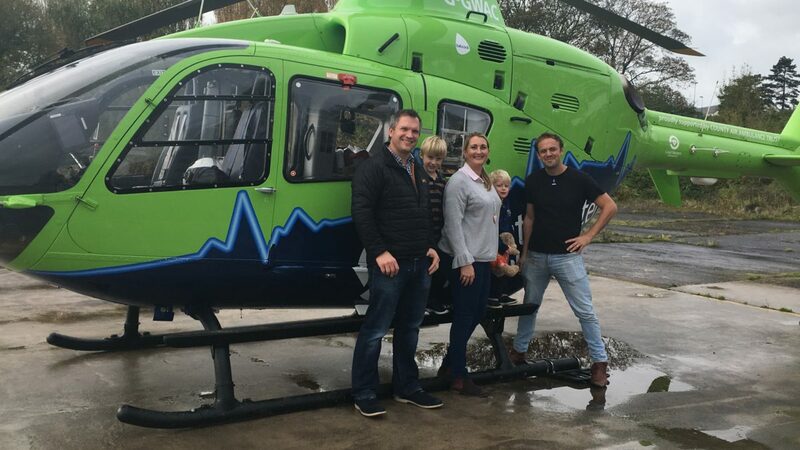 Nicki and Tim Joyner were enjoying an idyllic holiday at Cotswold Water Park with their family and two young sons, when they realised that 3 year old Zach had gone missing. “The family raised the alarm and began look for him,” explained Nicki. “Sadly my mum found him lying face down in the lake next to our holiday home”. Thanks to fast work from the family, and their knowledge of CPR, they along with the ambulance crew were able to resuscitate Zach. “My husband Tim and bother in law Tom pulled him out of the water and began CPR straight away,” continued Nicki. 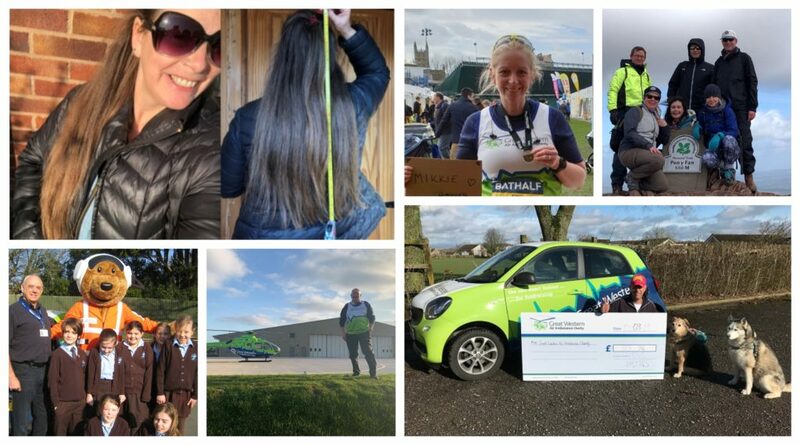 “They alternated with my dad Geoff and sister Kate, and managed to get some shallow breaths from Zach after about 15 minutes”. 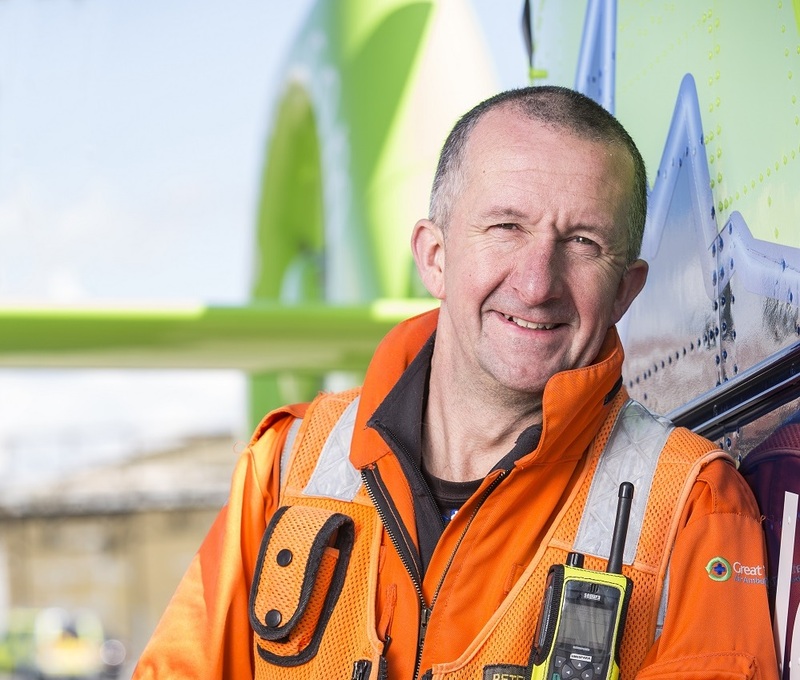 Our air ambulance was called to the scene to assist the ambulance crew, Great Western Air Ambulance Charity critical care team are often dispatched to incidents via our helicopter or critical care car to provide life-saving support. 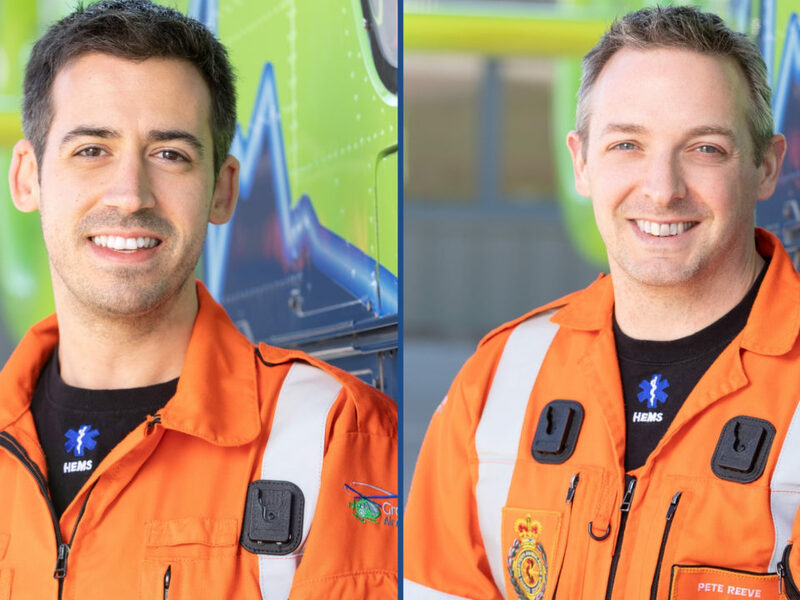 We cover Bristol, Bath and North East Somerset, South Gloucestershire, Gloucestershire, North Somerset and parts of Wiltshire, and our specialist doctors and paramedics provide pre-hospital care and medicine, meaning we were able to provide life-saving support to Zach even before he reached the hospital. 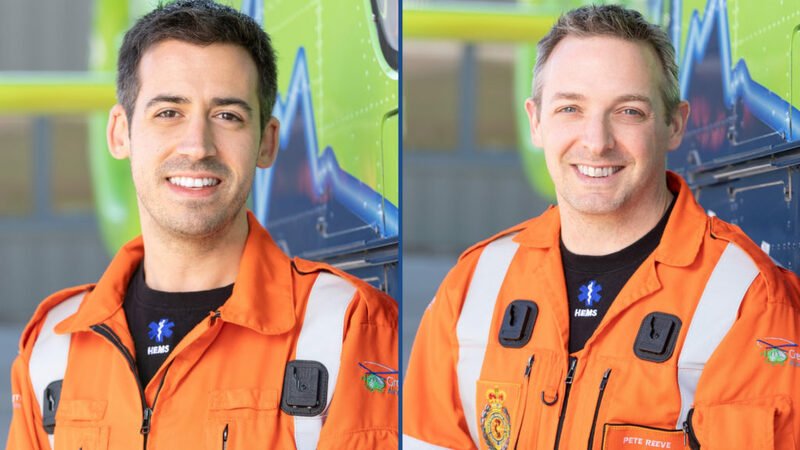 Our team on the day were Critical Care Dr Matt Campbell, Critical Care Dr Andy Lockyer, Critical Care Paramedic Neil Hooper and pilot Captain Jim Green. Thanks to the actions of his family, and the speed with which our critical care team were on the scene, Zach has made a full recovery. 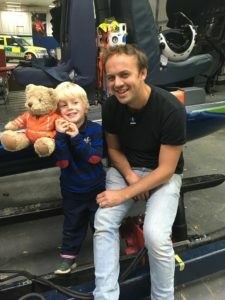 He was even able to visit the GWAAC air base to meet the team, bringing his own teddy aptly named Dr Andy! The actions of Zach’s relatives helped save his life that day, and they have shown a remarkable and impressively positive attitude in continuing their collective recovery from this traumatic event. 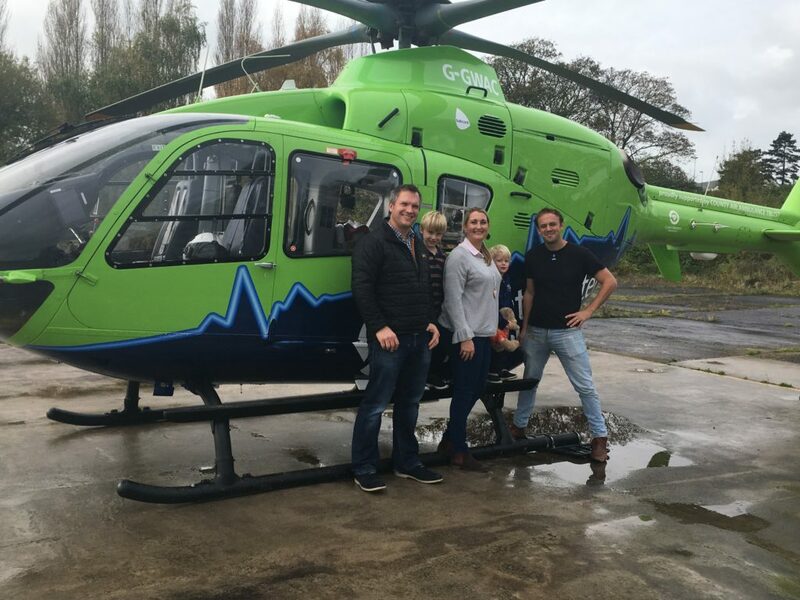 It was a pleasure to see Zach and his brother playing around on the helicopter together, and share a cup of tea with his parents”. Nicki said: “We are eternally grateful to Andy and the team from the bottom of our hearts, for all they did that day to save our precious boy. We never thought we would need to watch our son fly off in an air ambulance. 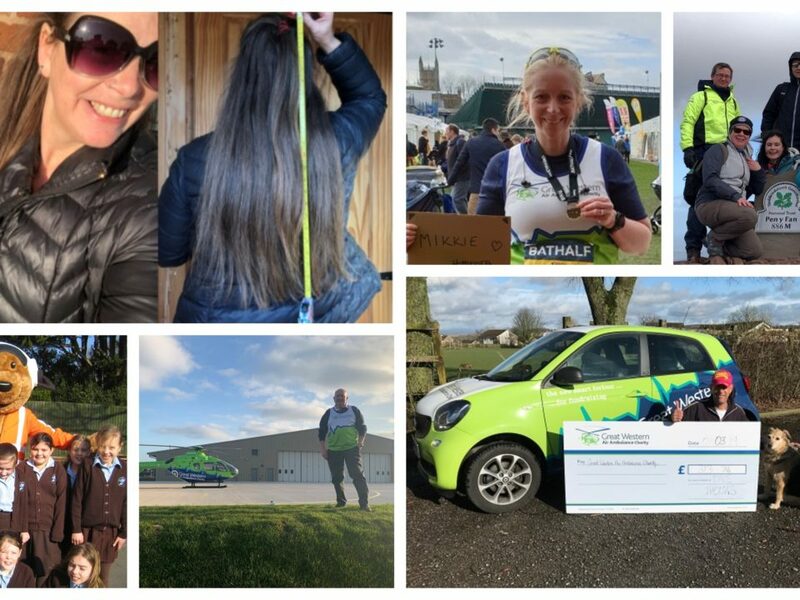 I can’t stress enough what a hugely vital service GWAAC provide, and urge people to give generously to such a worthwhile cause. It has allowed Zach to go on to lead a full life with his older brother Toby”. 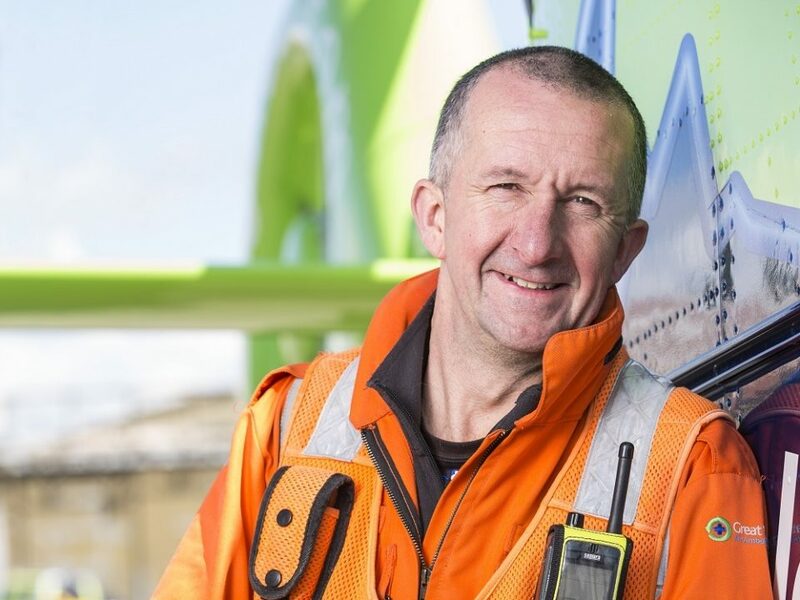 Have you had your life saved by the GWAAC team? We’d love to hear from you, contact us here.